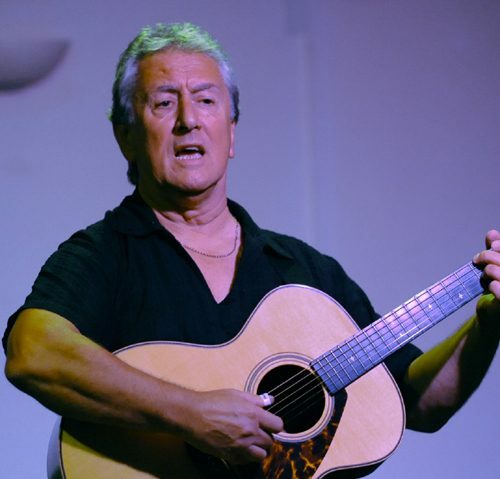 Phil is an accomplished singer, guitarist and songwriter who performs traditional and contemporary songs from his own Lancashire and English folk culture to his own arrangements. His repertoire enables him to accommodate 2 x 45 min spots easily. Phil's current album The Englisc Lament was released in August 2011 and, like the previous two (Full Circle and Two Ravens), it comprises no-frills, mainly English traditional / contemporary folk-roots with a couple of excellent self-penned tracks including the title track which is a brilliant protest song in the true Phil Ochs tradition. The award-winning Song For Jackie is featured on the Two Ravens album. Phil is a Lancashire lad "down to 'is booits", and performed around folk clubs in the North of England during the late 60s and early 70s, including " The Guild" (MSG) in Manchester before he buggered off overseas for some time.